Ryan Hein catches a 400lb Goliath Grouper on a wrench. 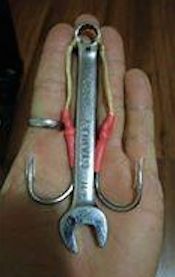 Ryan Hein of St. Pete, Florida decided to try out a lure he made from a number 11 wrench from his tool box. About 30 miles offshore, and on his first drop, his poll bent nearly in half with the weight of the fish. On the other end? 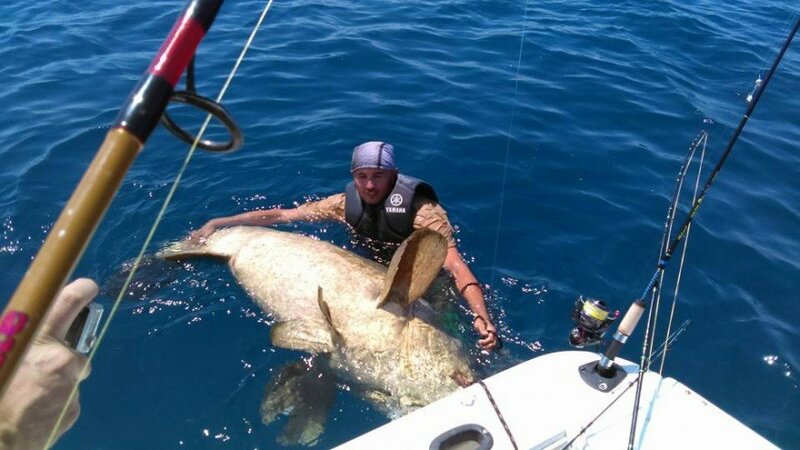 A 400lb Goliath Grouper. Could the key to big fish be in your toolbox? Have you ever rigged up an unconventional lure that brought you success?